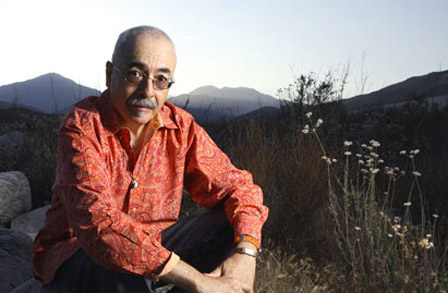 Congratulations to Juan Felipe Herrera, who was appointed the 21st poet laureate on June 10 by the Library of Congress. Herrera will be the first Hispanic-American person to be chosen as poet laureate in the United States in the 79 years since the program’s inception. His tenure will begin in September—national Hispanic heritage month. Herrera, the son of migrant farmers, spent much of his youth travelling and living in tents in the San Joaquin Valley, California. Though terribly underprivileged, he was presented with the remarkable opportunity to attend UCLA as a young adult. From there, he went on to attend Stanford University and the University of Iowa’s Writing Workshop, where he earned a Master of Fine Arts in Creative Writing. Through his education and experiences as a young Hispanic-American, Herrera developed a deep passion for writing and performing in both English and Spanish. He penned several pieces, including collections of poetry and children’s books in honor of his heritage and worldview. In addition to his writing and performing, Herrera has been an avid teacher and has also served as the poet laureate of California from 2012-2014. Villanova University was lucky enough to welcome Juan Felipe Herrera as one of the featured speakers during the 14th annual Villanova Literary Festival, organized by Alan Drew, Assistant Professor of English & Creative Writing. The talk took place on Tuesday, February 21, 2012 in Falvey Memorial Library’s Speakers’ Corner. A jam-packed audience had the opportunity to listen to Herrera as he read and performed selected poems in both Spanish and English. With great enthusiasm and detail, Herrera shared his past experiences and showed poignant images to illustrate his work. It’s been reported that Herrera’s main focus during his tenure as poet laureate will likely be to connect people of all different cultural backgrounds through poetry and to help highlight the stories of those people who are typically overlooked. Interested in learning more about Juan Felipe Herrera? Check out Falvey Memorial Library’s holdings by this author. Also, visit the following sites for additional information on Herrera and the position of Poet Laureate, provided by librarian Susan Ottignon. Dig Deeper links provided by Sue Ottignon, subject librarian for romance languages and literatures.